The fourth book in the Legends of the First Empire series by Michael J. Sullivan is coming our way... fast, but not as fast as I would personally like it. If you are one of the fans that is eagerly awaiting for this sequel, worry no more as we have something here to whet your appetite: the delicious cover of Age of Legend. This series is originally said to have five books, but the author find it appropriate to add one more book after seeing the necessity when expanding the story. That means we will be more than halfway through it once we get a copy of the said book and the finale is surely uncomfortably drawing nearer. 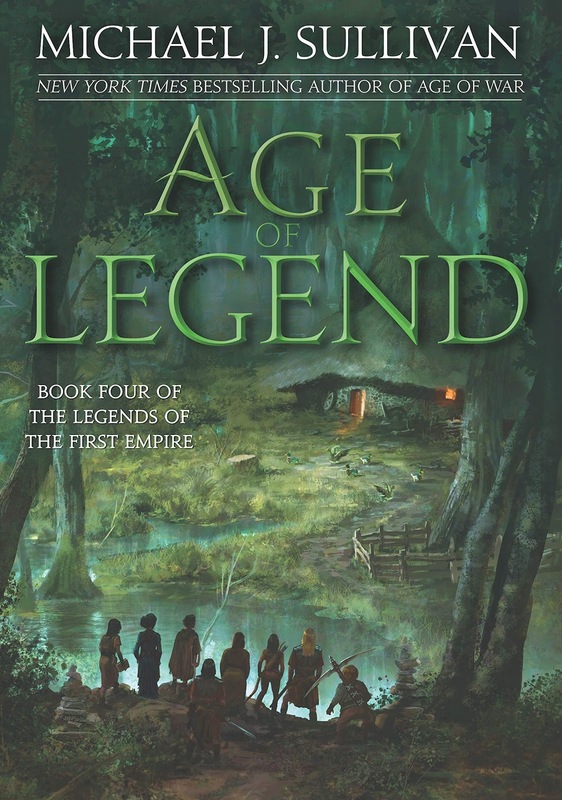 Check out the cover of Age of Legend by Michael J. Sullivan. Each culture has its own myths and legends, but only one is shared, and it is feared by all. With Age of Myth, Age of Swords, and Age of War, fantasy master Michael J. Sullivan riveted readers with a tale of unlikely heroes locked in a desperate battle to save mankind. After years of warfare, humanity has gained the upper hand and has pushed the Fhrey to the edge of their homeland, but no farther. Now comes the pivotal moment. Persephone’s plan to use the stalemate to seek peace is destroyed by an unexpected betrayal that threatens to hand victory to the Fhrey and leaves a dear friend in peril. Humanity’s only hope lies in the legend of a witch, a forgotten song, and a simple garden door. Age of Legend by Michael J. Sullivan will be released on July 9, 2019.